Welcome to South Skye Carriages! 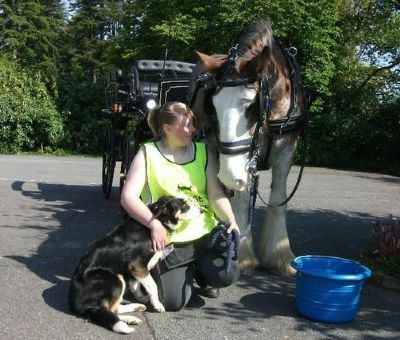 South Skye Carriages is a small family based business in Armadale, Isle of Skye where we are proud to offer horse and carriage rides with our very own Scottish Clydesdale! We run a variety of trips, from 15min jaunts to an afternoon out-something the whole family can enjoy. New this year is our Heavy Horse Experiences,where you can come and spend a full or half day with us enjoying some hands on experience with our Clydesdale horse, Bill. We are also available for Weddings, functions and special occasions.So if you would like to celebrate in style and do something a little different then give us a call! South Skye Carriages is fully licenced and insured.